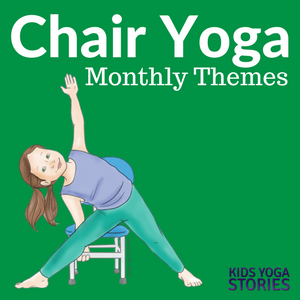 Welcome to our chair yoga ideas for kids series! 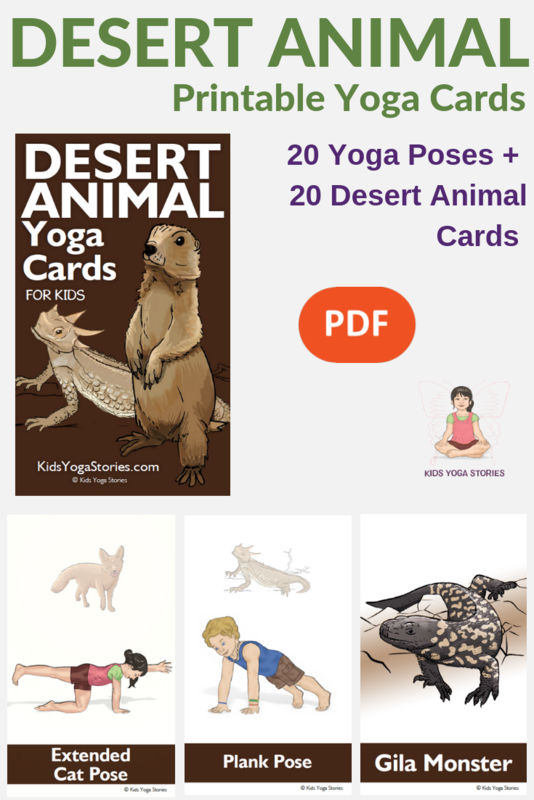 This month features five desert yoga poses! 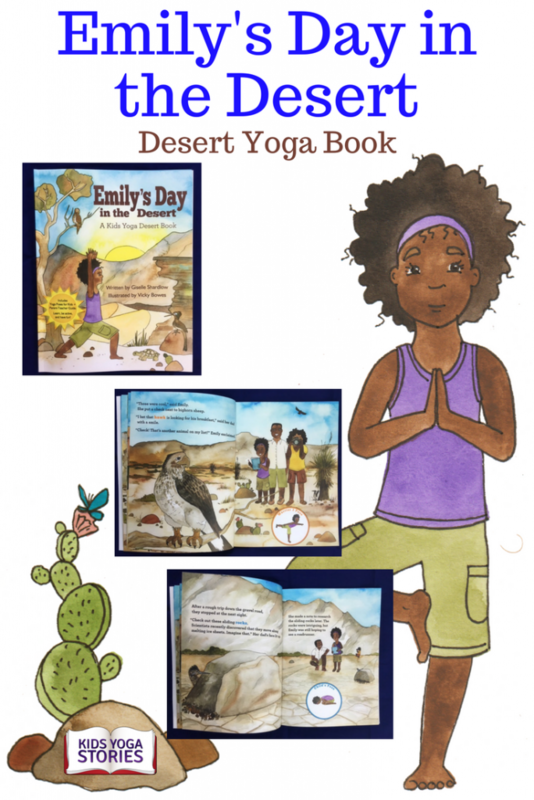 Begin your pretend trip to the desert with Emily’s Day in the Desert, a yoga book based on a trip to Death Valley, California. Imagine all the things you’ll see and do in the desert. 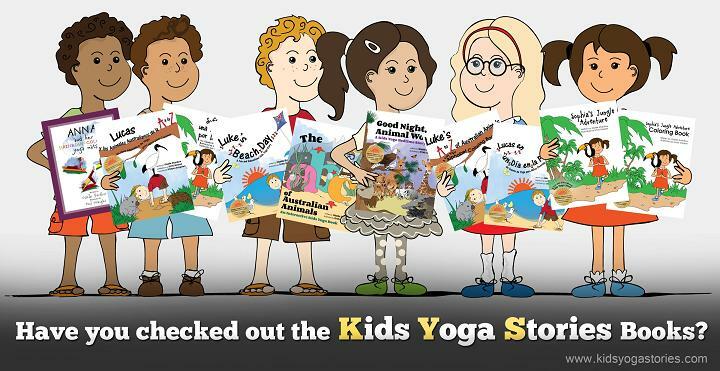 Engage the children’s five senses as they bring the desert to life through their minds and bodies. 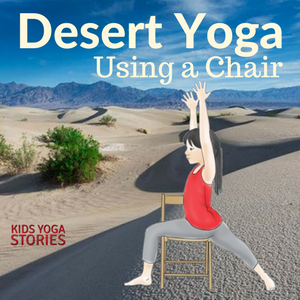 Stretch up like a yucca tree, stand tall on the rocks like a bighorn sheep, or dart across the sandy dunes like a kit fox. 1. 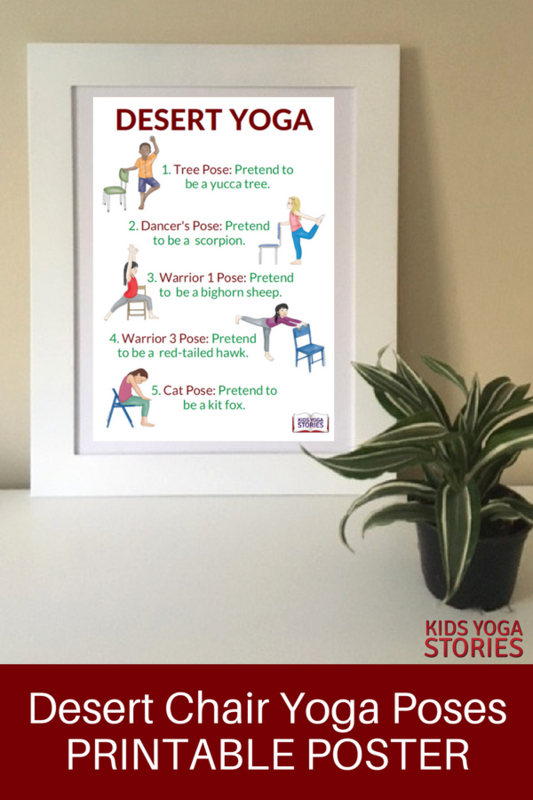 TREE POSE – Pretend to be a yucca tree. Come to standing next to your chair. Holding on to the chair with one hand, shift your weight and balance on one leg. Bend the knee of the leg you are not standing on, place the sole of your foot on the opposite inner thigh or calf, and balance. Stand tall like a yucca tree, overlooking the desert. Switch sides and repeat the steps. 2. DANCER’S POSE – Pretend to be a scorpion. Stand tall in Mountain Pose behind your chair. Then grab the back of your chair with your right hand, stand on your right leg, reach your left leg out behind you, and place the outside of your left foot into your left hand. 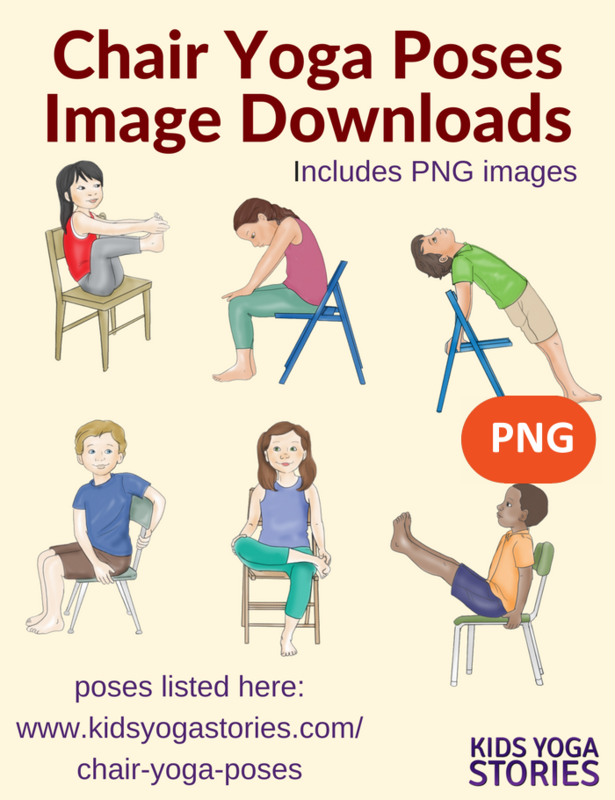 Bend your torso forward, with your right hand on the chair for balance, and arch your leg up behind you as if you are a scorpion scuttling across the ground. Switch sides and repeat the steps. 3. WARRIOR 1 POSE – Pretend to be a bighorn sheep. Stand tall with legs hip-width apart, feet facing forward, and straighten your arms alongside your body. Step one foot back, angling it slightly outward. Bend your front knee, bring your arms straight up toward the sky, and look up. Imagine being a desert bighorn sheep climbing a rocky cliff. Use the chair for support under your front leg if necessary. Repeat on the other side. 4. WARRIOR 3 POSE – Pretend to be a red-tailed hawk. 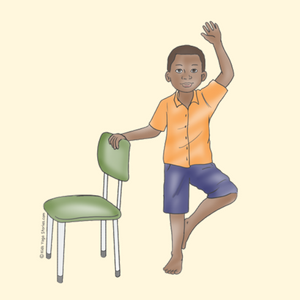 Stand on one leg with your arms straight out in front of you, holding the back of the chair. Extend the other leg behind you, flexing your foot. Bend your torso forward. Pretend you are gliding through the sky like a red-tailed hawk. Switch sides and repeat the steps. 5. CAT POSE – Pretend to be a kit fox. From a sitting position with your feet flat on the ground, round your back and tuck your chin into your chest, stretching your back. Pretend to be a kit fox resting on the sandy dunes.